Son, we live in a world that has walls, and those walls have to be guarded by men with guns. Who’s gonna do it? You? You, Lt. Weinburg? I have a greater responsibility than you could possibly fathom. You weep for Santiago, and you curse the marines. You have that luxury. You have the luxury of not knowing what I know. That Santiago’s death, while tragic, probably saved lives. And my existence, while grotesque and incomprehensible to you, saves lives. You don’t want the truth because deep down in places you don’t talk about at parties, you want me on that wall, you need me on that wall. We use words like honor, code, loyalty. We use these words as the backbone of a life spent defending something. You use them as a punchline. I have neither the time nor the inclination to explain myself to a man who rises and sleeps under the blanket of the very freedom that I provide, and then questions the manner in which I provide it. I would rather you just said thank you, and went on your way, Otherwise, I suggest you pick up a weapon, and stand a post. Either way, I don’t give a damn what you think you are entitled to. 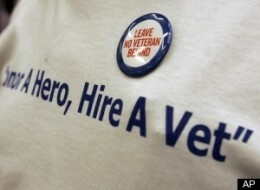 It’s far more difficult to wave off our veterans than to sit with them, counsel them, and hire them. I’ve decided that I’m going to be one of the recruiters who will press our profession and our country to do more for those transitioning out of the military. I have some ideas – early 2011 we’ll have our first #miljobchat on Twitter – and believe that we’ll all be better off for thanking those who are serving and those who served with not just assistance but real elbow-to-elbow collaboration as they embark on their post-military careers. Rob Dromgoole and I started 1000 Recruiters of Light in 2010 but it’s now time to make it work: If we have to we’ll go company to company to recruit recruiters who will be their company’s point person to develop and inculcate affinity groups for veterans. We will go executive to executive if needed to convince them to partner with someone currently in-service – perhaps even the same unit as when they served – and counsel them through the professional element of their transition to civilian life. If our government won’t help them, we will. Steve: count me in! when is first #miljobchat? If you’re announcing/inviting, find me at @MegSaid. I am all over this.